Kick off your visit on the 29th (Mon): step off the mainland to explore Alcatraz Island, then take a leisurely stroll along Fisherman's Wharf, then learn about all things military at USS Pampanito, and finally snap pictures at Golden Gate Bridge. 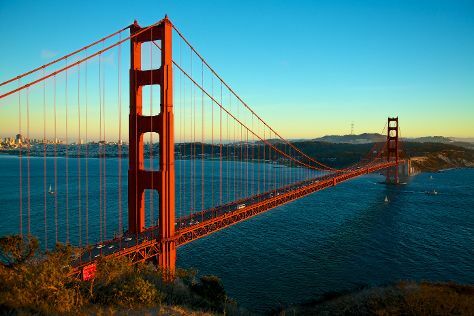 To see maps, more things to do, ratings, and tourist information, read San Francisco trip planner. If you are flying in from India, the closest major airports are San Francisco International Airport, Metropolitan Oakland International Airport and Norman Y. Mineta San Jose International Airport. In April, plan for daily highs up to 22°C, and evening lows to 12°C. Finish up your sightseeing early on the 29th (Mon) so you can travel back home.